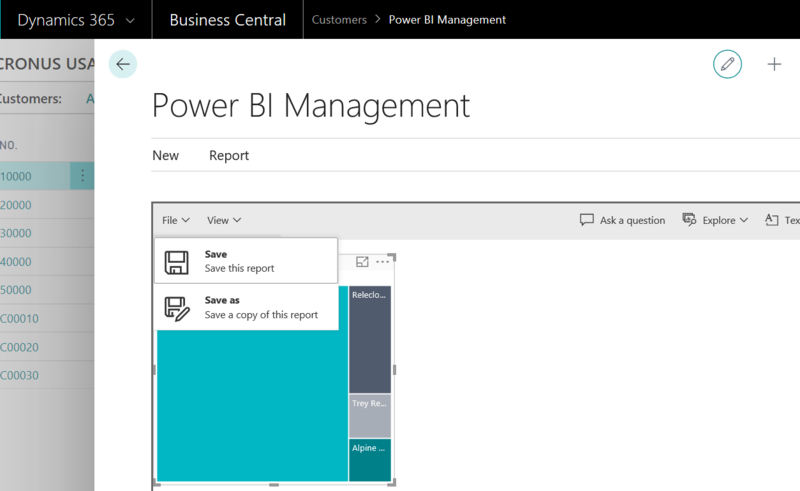 Having embed PowerBI in Business Central is well known fact, but recently in Fall ’18 release, Microsoft made it even better because now you have already added PowerBI reports on all pages where they were planned to be. OK, it is nice to have and it can be time saver, because you don’t need to waste your time to add reports to page-by-page. But what if you are not satisfy with it how these reports looks like? If you want to change something? Previously it was locked, but now… Now it looks amazing. You don’t need to leave your Business Central environment… everything you need, you will find in your Web Client (of course I’m speaking about cloud version 🙂 ). 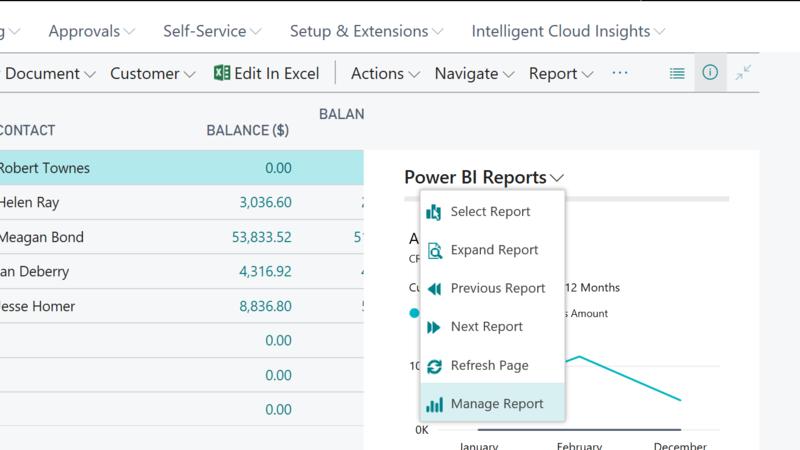 Let’s show… Find some PowerBI report and choose Manage Reports command. 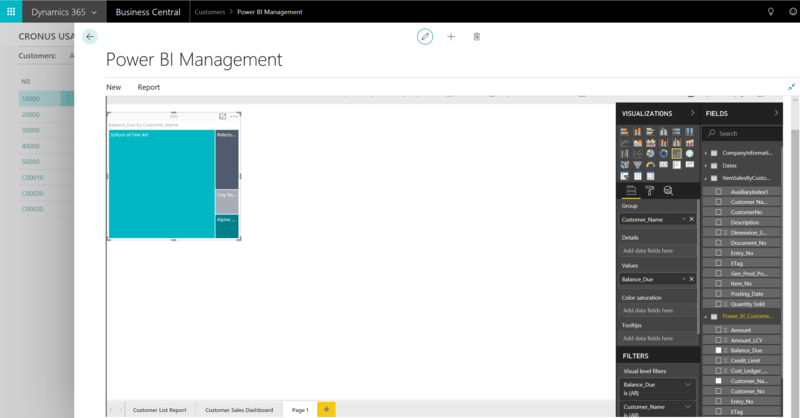 When you run this command, you will open PowerBI Management in Business Central (PowerBI Designer) and you can design your reports. You can change your existed reports or eventually add new tab with new charts… you can do as you want. When you finish, you just need to save it or to save this new report as a copy (if you want to keep original). When you close it and open this report in Business Central, you will see that now you have your new report. Simply, right? Amazing job! If there is no Power BI Report in a specific page, is there a way to embed the report in that page (e.g. Jobs page)?